~ We’re very excited to announce the completion of our initial funding round from investors. Many of our customers recognize the benefits we can provide based on our proprietary technologies and know-how. The broader industry urgently needs what we can now offer, which is why so many of our customers have decided to be our investors as well. We are pleased to be their partners in progress building a world-class horticulture industry. I’m very grateful to the many growers who have taken the time to share their perspectives, problems, and vision for the future with us over the past five years. It is this collaborative approach that has guided the vision of Phytelligence to reality. I look forward to benefitting the tree fruit industry, helping bring new and important varieties to nurseries and growers more rapidly than previously possible through our tissue culture processes. Washington State University has long been a national leader in innovation, and the technologies we have licensed to Phytelligence are an example of that research excellence. As WSU President Elson Floyd has observed, commercializing university research has enormous benefits to the university, its researchers, industry and to society as a whole. We congratulate Phytelligence on their success, and applaud their efforts in bringing innovative solutions to nurseries and growers in the tree fruit industry in Washington and beyond. 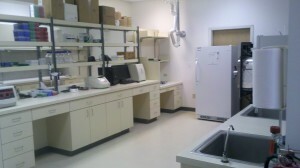 Some of the investor funding has been used to complete the outfitting of the company’s lab and production space with equipment and supplies. The funding will also be used to hire staff, pursue additional intellectual property protection and for sales and marketing efforts to reach beyond the company’s existing customer relationships.